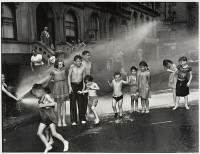 Weegee, was born as Ascher (Usher) Fellig, on June 12, 1899 in Zolochiv, Ukraine. 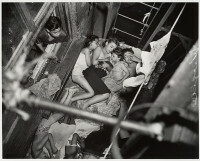 He first worked as a photographer at the age of fourteen after his family immigrated to the U.S. in which he changed his name to Arthur in order to sound more American. 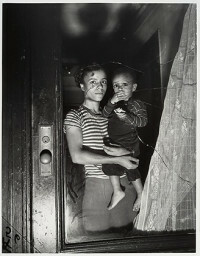 Completely self-taught, he held many odd photography-related jobs before receiving a position in a photography studio in 1918. 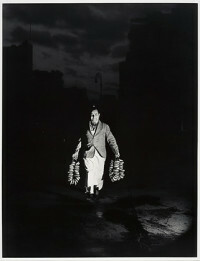 This led him to work as a freelance news photographer until 1935. 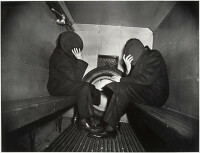 During the 1940s, Weegee’s photography gained mainstream attention and success. 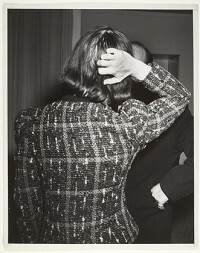 In 1941, the New York Photo League held an exhibition of his work, and the Museum of Modern Art began exhibiting and collecting his work in 1943. 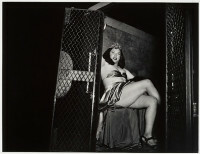 He moved to Hollywood in 1947 and worked as a filmmaker, performer, and consultant until 1952. 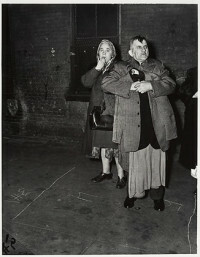 Weegee then returned to New York and lectured and wrote about photography until his death on December 27, 1968.